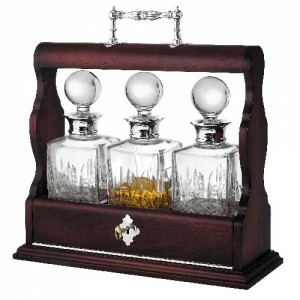 Tantalus decanter set is a small wooden cabinet containing two or three decanters. The main feature of tantalus liquor cabinet is that it has a lock and key to open and close it. 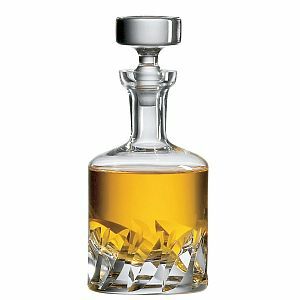 The purpose of the lock is to stop unauthorized person from opening the tantalus decanter set and drinking the content of decanters including whiskey, bourbon, scotch or any other liquor. It still however allows to display the decanters on your bar. The name tantalus originates from Greek mythological Character Tantalus and his unsatisfied needs. The tantalus was patented by George Betjemann in 1881. Betjemann was Dutch cabinet maker who owned a famous shop in London on Pentonville Road. 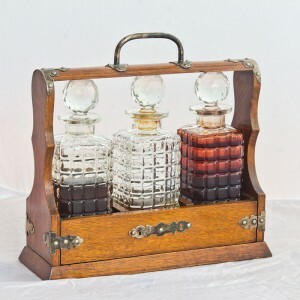 In these days, tantalus decanters and sets are very specific gifts. The original tantalus decanter sets are sold in auctions around the world for thousands of dollars as a collectible items.